I am excited to see home hair dye taking a different approach for all of us do it yourself-ers. 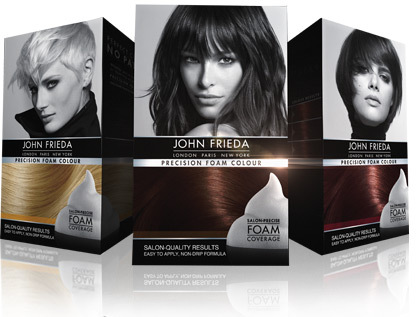 John Frieda's Precision Foam Colour is the first to make box dying easier than ever with it's foam consistency. I usually go for inexpensive, nice shade, and easy to use when I chose a hair color. I was really psyched to try this hair dye for one, because it's a lot more expensive than the brands I normally buy, and two because it was foam. The first thing I noticed was that there were far less shades to chose from compared to other brands. The site says that they offer 20 different shades but the store was only stocking maybe 6. This retailed at $12.99 at Walgreens where I got it, but I did have a free promo card from John Frieda, so I used that for my purchase. I got 3N Deep Brown Black. There was also a sample of the Brilliant Brunette Shampoo and Conditioner, with a coupon. The first thing I noticed was that the gloves were better quality than other box brands, thicker and better fit. Also, when you mix #1 with bottle #2 you tilt upside down a few times instead of shaking it like traditional kinds. I found it easy to use as I followed along the directions. To dispense the color into your hand to apply to your hair, you actually just squeeze the sides of the bottle together and it foams out from the pump. The foam was super easy to work with and way less messy than kinds I usually use. You're supposed to start at the top of your head and apply the foam in sections to your roots. 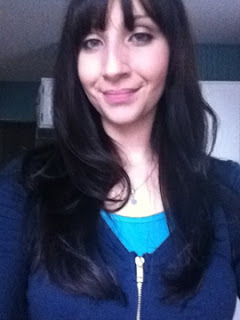 Once this was done, I was a little confused on the best approach for the length of my hair. 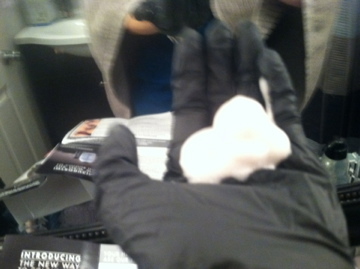 It's pretty long so I just ran the foam through and piled it on top of my head adding more foam as I went. It'd probably be way easier for medium length hair or shorter. It says to massage the foam in also as you go along. It was fairly easy to apply and more controllable that liquid dyes, which I am guaranteed to get at least a drip or two on the floor. I didn't have the flying droplet problem with this stuff. 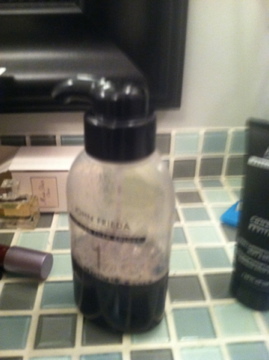 After 30 minutes, I rinsed, conditioned and was done. I was really happy with the color result. It's just the perfect deep dark blackish brown just like the box says. Overall, I was pretty pleased with this product. I'm feeling the foam dye. I think I would definitely spend the couple extra dollars to use it again.